WeightOFF® MAX! brings you the world’s best premium weight loss ingredients at the dosages proven to work together in one formulation. The WeightOFF® MAX! formulation was developed with SYNERGY in mind! Synergy is when one ingredient in the formulation combines with another to make it even more powerful! 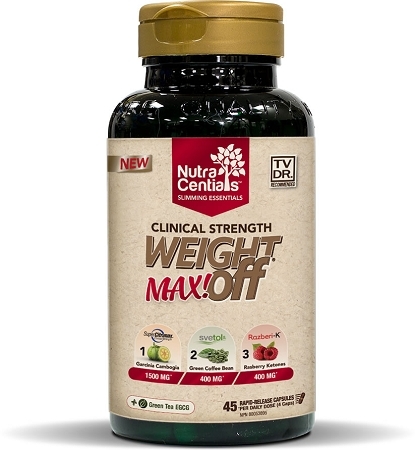 The nutrients in WeightOFF® MAX! naturally work together to make it one of the most powerful weight loss formulas on the market! 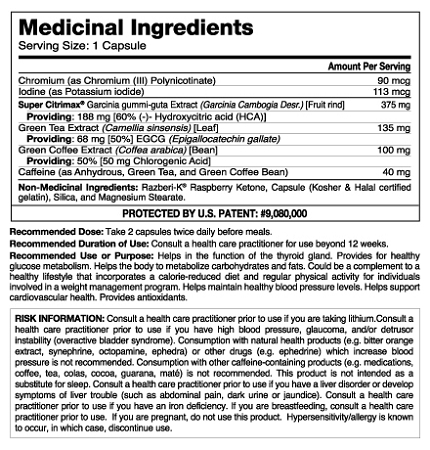 Recommended Dose: Take 2 capsules twice daily before meals. Recommended Use or Purpose: Helps in the function of the thyroid gland. Provides for healthy glucose metabolism. Helps the body to metabolize carbohydrates and fats. Could be a complement to a healthy lifestyle that incorporates a calorie-reduced diet and regular physical activity for individuals involved in a weight management program. Helps maintain healthy blood pressure levels. Helps support cardiovascular health. Provides antioxidants.